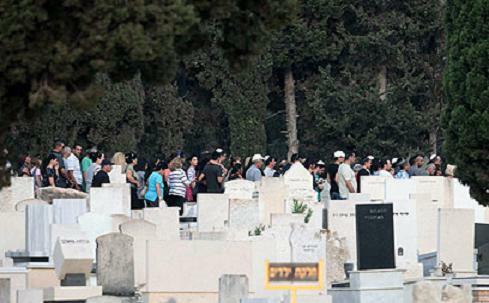 Slain Netanya Mafia boss laid to rest-Israeli underworld leader Francois Abutbul, who was gunned down dead mafia style Saturday night in a Coastal Highway gas station, was laid to rest Sunday at Netanya’s Vatikim Cemetery. The police believe Abutbul was the victim of a professional hit, ordered by one of his underworld rivals. Initial details released from the investigation suggest that after entering the gas station and stopping by one of the pumps, a gunman road up to the driver’s side of Abutbul’s vehicle on a motorcycle, opened fire and then fled the scene. Abutbul suffered mortal wounds and was pronounced dead shortly afterwards at the Laniado Hospital in Netanya. The investigation into Abutbul’s murder is headed by the International Fraud Unit. Investigators asked to autopsy the body, but the family initially refused. A court-brokered compromise was later reached, and the family agreed to have the medical examiner at the Abu Kabir Institute of Forensic Medicine remove bullets from the body. Head of the Abutbul crime syndicate Assi Abutbul received the news of the his brother’s murder in prison, where he is serving a 13-year sentence for heading a crime syndicate and a slew of racketeering offences, including extortion, arson, unlawful imprisonment and financial crimes.